Online user community 3D Hubs has published its third annual 3D Printer Guide for 2017, based on reviews from 8,624 verified 3D printer owners of 513 different 3D printer models. 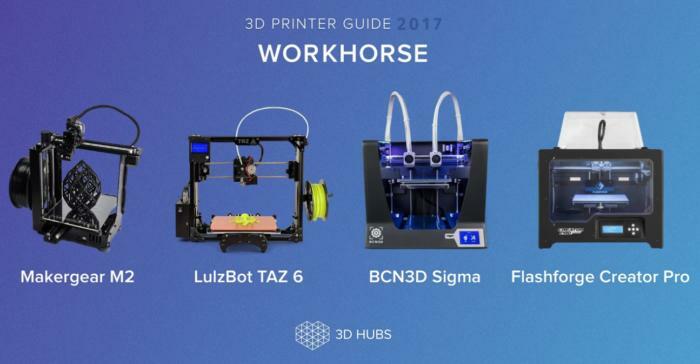 Fourteen machines separated into five categories made it into the guide's top 3D printers list for 2017. The categories include Budget, Plug-N-Play, Prosumer, Workhorse and SLS or selective laser sintering machines, which is a new commercial-grade category. 3D Hubs used a wide range of parameters to measure the user experience with 3D printers, which included print quality, build quality, reliability, ease of use, print failure rate, customer service, community, running cost, software, and value. In all, the guide rated 72 machines (half as many as last year), from a 1, the lowest ranking, to a 10, the highest. Only machines with five or more reviews were included in the Printer Guide, which left out 441 machines that were submitted for review. 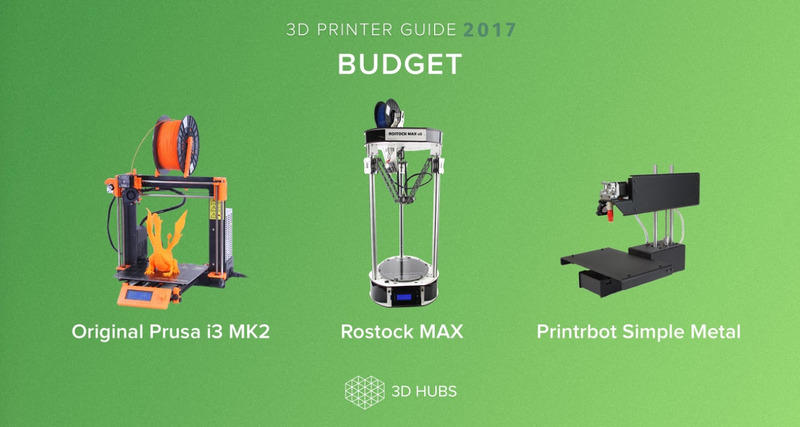 3D Hubs is a three-year-old Amsterdam-based startup that created an online distributed network as a marketplace for printing 3D objects. The network quickly grew to include more than 10,000 3D printer owners throughout the world. Last year's guide included a list of the top 18 printers and an additional 58 that didn't make it to the top of their categories. This year's categories are different from last year, in that the "Enthusiast" category has been replaced with "Prosumer," aimed at professionals looking for a printer with exceptional build quality. For the first two years that the guide was published, the Makergear M2 ($1,825) fused deposition modeling (FDM) printer took the top spot with a 9.1 rating in the "Enthusiast" category, which is for intermediate and professional users. This year, the highly rated Makergear didn't make the top cut in the Prosumer category and, instead, the Ultimaker 2+ ($2,499) took the top spot with a 9.1 rating. 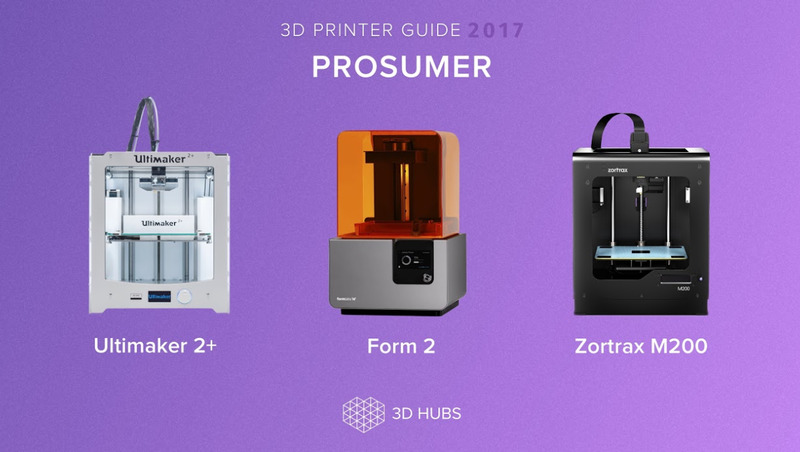 Also included in the top three Prosumer machines category were Formlabs' Form 2 SLA stereolithography or resin polymer printer ($3,499), which received a 9.0 rating, and the Zortrax M200 ($2,005) FDM printer with an 8.9 rating. In the Workhorse category, which includes machines that are as precise and reliable as money can buy, the Makergear M2 ($1,825) took top honors with a 9.2 rating. Three other machines with the top spots in the Workhorse category included Aleph Objects' LulzBot TAZ 6 ($2,500) with a 9.1 rating; the BCN3D Sigma ($2,795) with an 8.9 rating; and the FlashForge Creator Pro ($899) with an 8.9 rating. 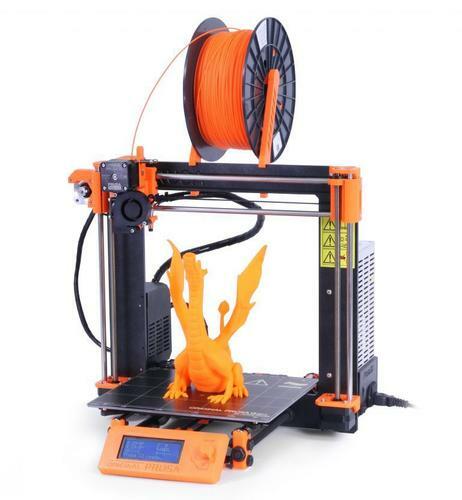 In the Budget category, which focuses on machines that offer good print quality as well as the best value and bang for your buck, top honors went to Prusa Research's Original Prusa i3 MK2 ($699), which garnered a 9.2 rating. The Prusia i3 comes as a kit, which means it requires more assembly than most. But it is also considered a RepRap-style machine -- meaning it can print its own system parts -- so it shouldn't be too difficult to put together. The two other machines with the top Budget category rankings were the Rostock MAX ($799) with an 8.8 rating; and the Printrbot Simple Metal ($599) with an 8.5 rating. In the Plug-N-Play category -- which as you might have guessed means you can pull the machine from the box, plug it in and start printing with little to no setup -- CraftUnique's CraftBot PLUS ($1,140) grabbed a top spot with a 9.1 rating. 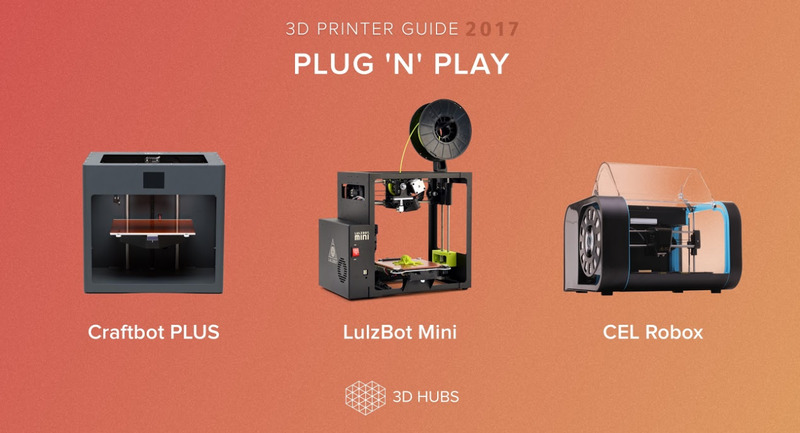 Also receiving a 9.1 rating in the Plug-N-Play category was Aleph Objects' LulzBot Mini ($1,250). The CEL Robox 3D printer ($999) came in third with a still-high 9.0 rating. In the new Selective Laser Sintering category, only one machine was reviewed -- the EOS P 396, an industrial machine that retails for $250,000. But, what do you expect to pay a floor-standing 3D printer that uses a laser to melt and solidify layers of powdered metals into finished objects? The EOS P 396 got an 8.2 rating based on the opinions of 50 owners. 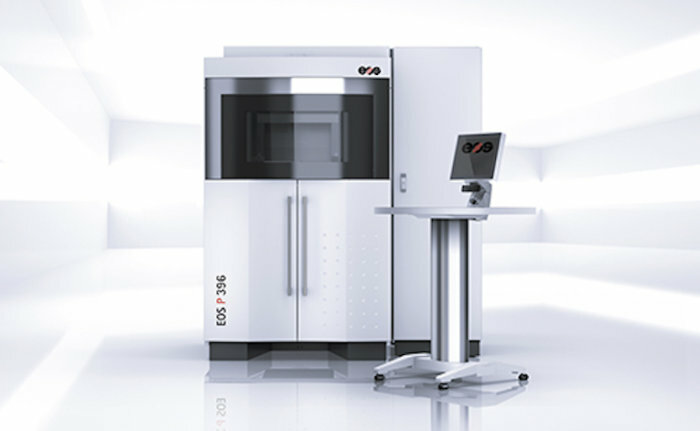 The EOS P 396 selective laser sintering 3D printer.